I don't have to use my HTC phones for another minute. 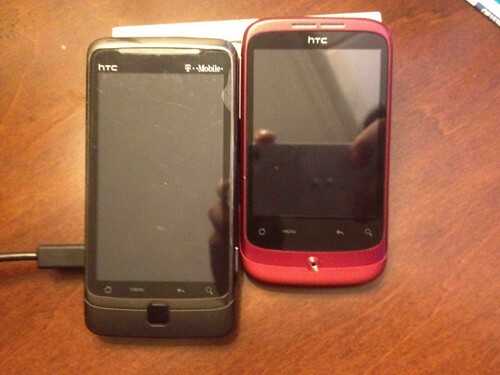 I have two phones that were both HTC Androids, thinking that open source operating system is the way to go. While I can't say that I was wrong, I was definitely not right. I got the iPhone now and I feel that the IOS is more human intuitive. Much like the excellent Nokia of the old days. Nokia 8210 vs Motorola V66 vs Sony Ericsson T610. My primary phone was the DesireZ which I got to replace the aging Nokia E90. I wanted a phone with a QWERTY keyboard as I felt that when the on-screen keyboard comes up, there is no more real estate left. After 1 year, the top row of the keyboard is failing. Some times nothing shows up when I press and some times multiple letters showed up with a single touch. Then there is the battery life. After a night's worth of charge, I am down to less than 40% by lunch time so much so that I had to carry a spare battery wherever I go. Incidentally, I left my spare battery and charger in a hotel in LiuZhou. The other phone is the Wildfire. The CPU is so underpowered that everything lags, I have no idea if my last press was registered and too often I ended up either waiting for something that is not going to happen or I press the same button twice, thinking the first time didn't register, and I needed to backtrack. The handset speaker died and wi-fi doesn't work anymore. 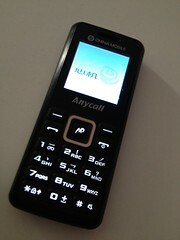 It was so bad that I felt that even the Samsung E1110C is a better phone which I am now using as my secondary phone. 1 week of battery juice though no internet capabilities. Both HTCs take sucky pictures. VPN is a hit or a miss as it drops carrier ever so often. Somehow the VPN connection just can't stick. And where was the Android OS upgrade that was promised? So anyway, I got the iPhone 4S with a external battery that doubles up as a protective casing. Without enough juice, I no longer need to switch off 3G data just so that I can survive on 2 batteries a day. p.s. Funny story. When I first got the iPhone, I realised the handset speaker is exceptionally soft to the extent that a phone call is almost impossible. An hour later, I resolved the problem. I removed the factory screen protector. Here a blast from the past. Enjoy.